Ephemeral SoHo | SoHo Memory Project. This May, I will be traveling in Japan with my family, and while I am there, I will be having a SoHo Memory Project exhibition at my father’s gallery in his hometown of Okazaki. I will display of photos and artifacts related to this blog and the story it tells about the SoHo experience as lived by its pioneers. 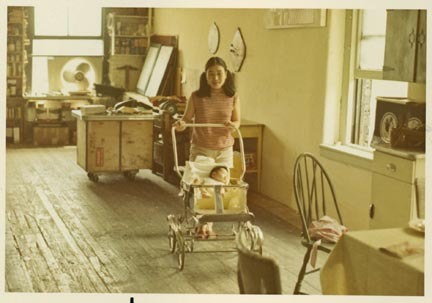 I think that the people of Okazaki, so far removed from The United States, New York, and certainly SoHo, will find the story of what my mom and dad, who disappeared 45 years ago only to reappear this year and build a house right back where they started, fascinating, if not incredible. I will be putting together a catalog for the show that I will share with you, and I will most certainly be posting observations from the gallery in May. The show will feature an essay by my mother about her memory of the early SoHo days that I translated and posted here a while back, and I will display related photographs printed on several media including paper, canvas, metal and wood. 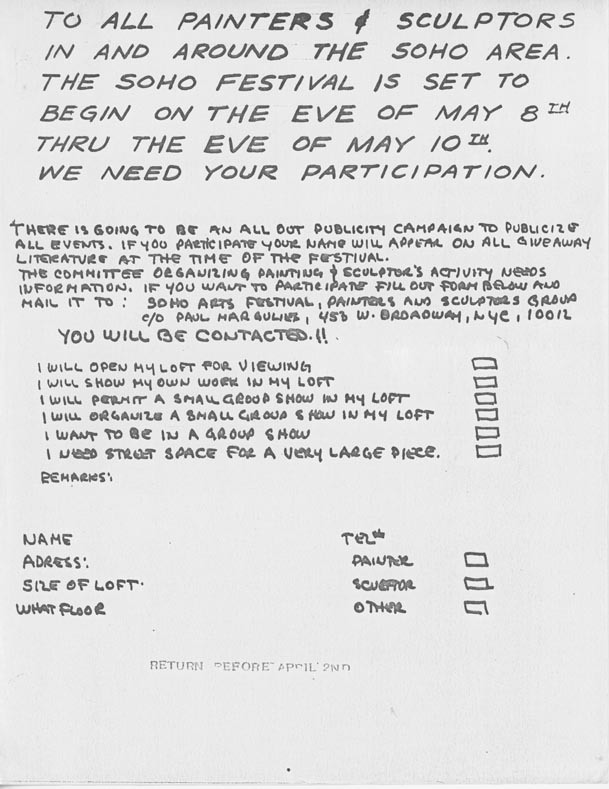 I would also like to include pieces of ephemera, such as newspapers, letters, flyers. Basically, anything that would materially illustrate what life was like back then. I've posted images of some of the items I have gathered below. Here’s where you all come in to the story. I am putting a call out for anything anyone has that would fit this bill. I am asking to borrow items to be part of the exhibition. I promise to handle said items with the utmost care. I have an advanced degree in Archives and Special Collections and have been trained to preserve historical artifacts. I had the idea to expand the scope of my show to include more than photographs and text when I was speaking to Marty the Seltzerman the other day. He kindly offered to comb through his garage and find me old seltzer posters and t-shirts (that he designed himself) for this blog. 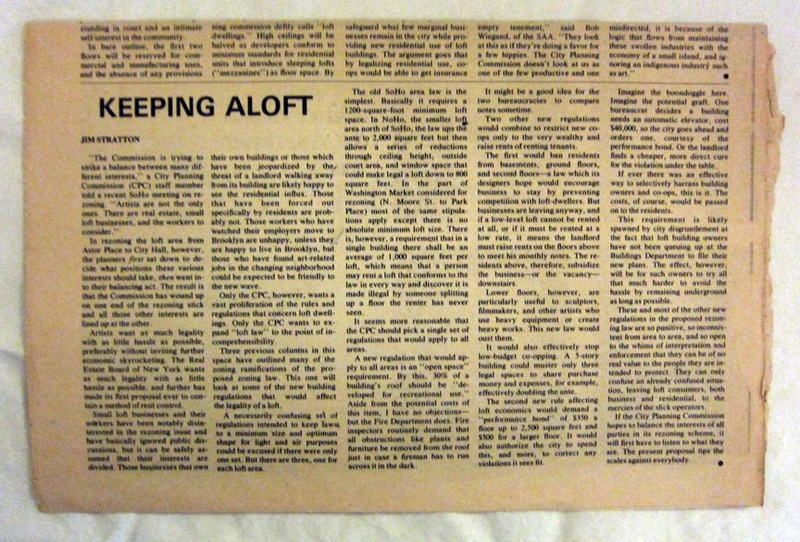 Then I remembered that others in our community had given me old newsletters, clippings, etc. to use for posts (thanks to Jim, Sean, and many others!). I realized that I already have the beginnings of a collection that could tell the story of SoHo much more eloquently than my mere words and images. 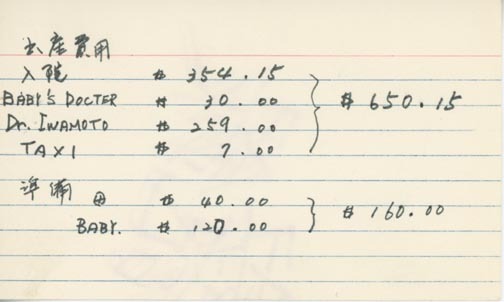 Breakdown of Birth Costs - My mother tallied up how much it cost to have me. 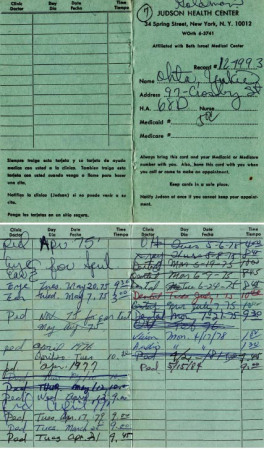 In 1969, the hospital stay was $354, and a cab from SoHo to Washington Heights, where I was born. 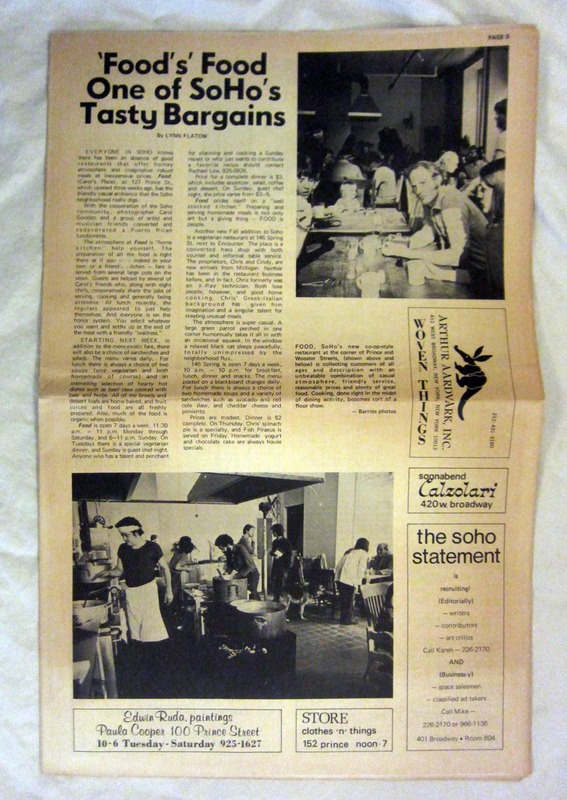 A review of the restaurant FOOD in the November 20, 1971 (Vol. 1 No. 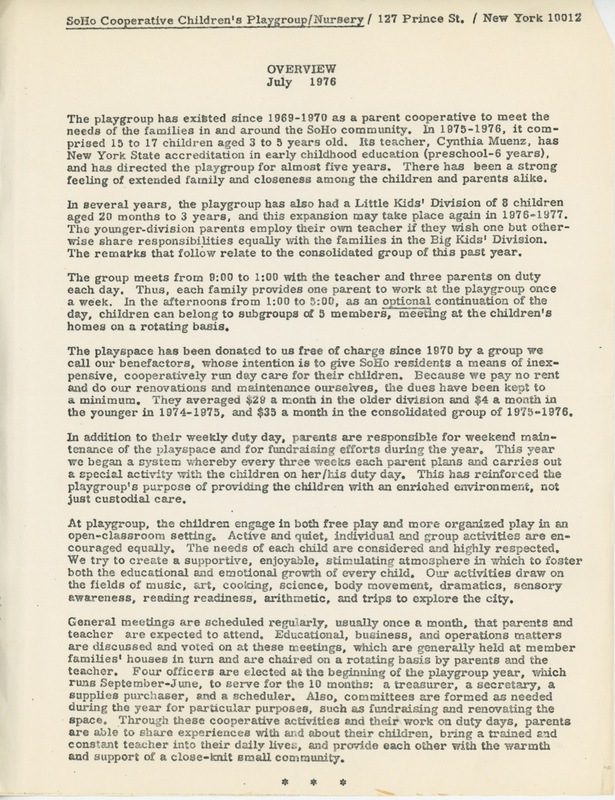 1) issue of the The Soho Statement. Does anyone remember that paper? Judson Health Center Appointment Card - For all my medical and dental appointments @ $7/visit. 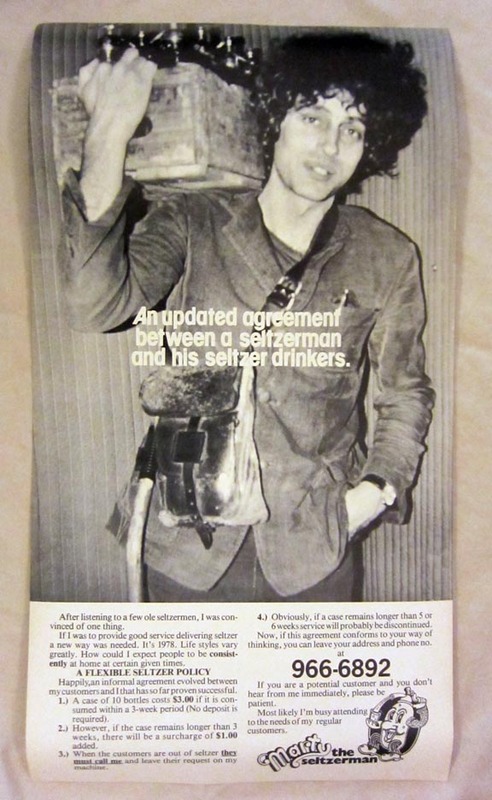 Marty the Seltzerman - A flyer outlining the terms for a seltzer contract with Marty. Loft For Sale - Copy for an advertisement, date unknown. Sounds like a nice place. And I think it was on West Broadway! 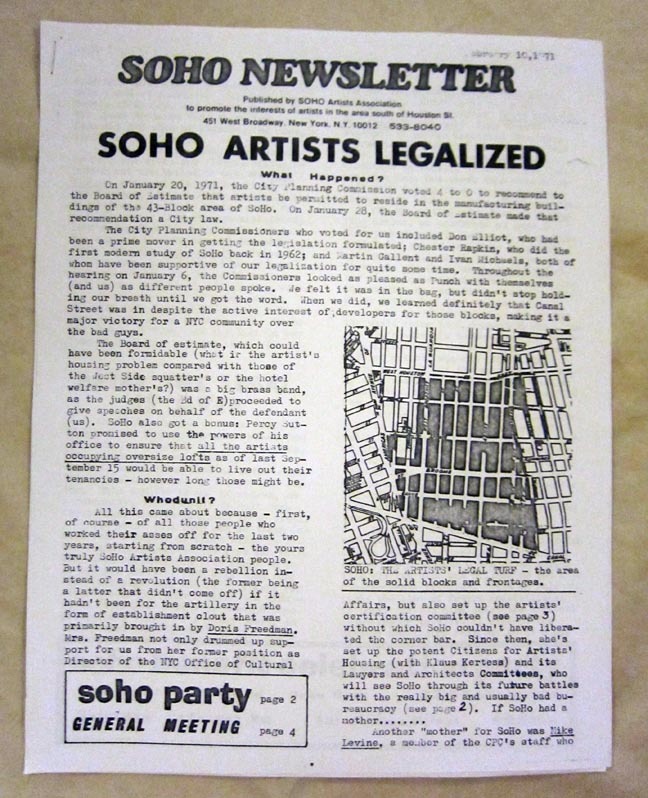 SoHo Newsletter - February 10, 1971 issue announcing the legalization of artists' lofts in SoHo. 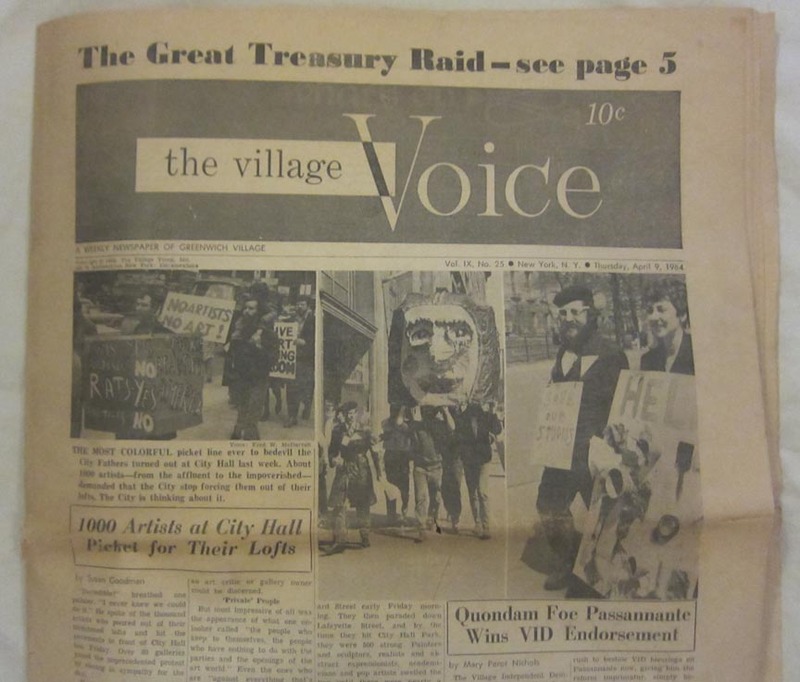 The Village Voice - April 9, 1964 issue about artists rallying for loft rights, back when you had to pay (10 cents!) for the paper.